Walmart recently pulled out of Google Express, Google’s alternative to Amazon.com for retail shopping. First noticed by Bloomberg last week, Walmart is no longer available in the Google Express webpage whereas previously it was prominently displayed. Walmart confirmed to Bloomberg that it had also dropped out of Google Shopping Actions which was launched last year to enable voice shopping through Google Assistant. The initial announcement of Google Shopping Actions emphasized the participation of Walmart and Target as launch partners. 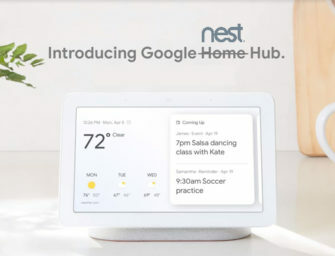 While this change likely undermines Google’s voice shopping efforts in the short term, the change doesn’t seem to indicate that Walmart is abandoning the Google Assistant platform or Google Home devices. Bloomberg’s Matthew Boyle and Mark Bergen reported that Walmart intends to continue to support Google Assistant. A Commentary on Voice Shopping Today? The real question is why would Walmart abruptly withdraw from Google Shopping Actions less than a year after the program’s launch and abandon Google Express after fewer than 18 months? A logical conclusion would be that after another holiday shopping season, Walmart didn’t see enough sales volume through Google Shopping Actions to continue on the platform. This would dovetail with speculation driven by reporting by The Information that voice shopping is conducted by a small percentage of smart speaker owners, at least in the Amazon Alexa ecosystem. However, Target has commented publicly that Google Express customers have 20% larger shopping basket sizes and is optimistic about the impact of voice shopping. And, Amazon announced that voice shopping tripled during the 2018 holiday season compared to the previous year. Bloomberg’s Boyle and Bergen hypothesize that Walmart withdrew from these programs because it is investing in its own e-commerce capabilities and has less need to partner with Google. Daniela Forte of Multichannel Merchant speculates that Walmart’s own marketplace which includes other retailers could be seen as competitive with Google Express. This interpretation leads to an optimistic view of voice shopping along the lines of Target’s commentary. It is based on speculation that Walmart believes voice shopping is going to be large enough that it wants to use voice apps to drive ordering and fulfillment through its own online marketplace and not cede those sales to another channel partner. Google Shopping Actions should be able to weather the Walmart storm. It has over 100 merchants on Google Express and many support Google Shopping Actions. Walmart’s withdrawal does reduce consumer choice among retailers, but probably has a negligible effect on product availability. Plus, Google is most interested today in simply offering shopping options to Google Assistant users. Whether those sales go through Google Express or Google Actions such as Ebay or maybe a new Walmart solution, still will meet that core objective of shopping as feature for Google Assistant users.